Most of us fail to comprehend the motivations behind child abuse, yet such abuse persists across the United States and around the world. Small children have no real way to defend themselves against abusive adults or to care for themselves if their families fail to do so. If you have observed or suspect the abuse of a child, including your own, you should contact the police and Child Protective Services (CPS) to inform them of the abuse or your suspicions. If your own child has been abused by someone else, once the situation has been handled by the authorities and you have removed your child from the situation, you may want to contact the offices of child-abuse lawyer Jeffrey Killino. He can help you understand your rights and responsibilities during this difficult time. Child abuse is frequently hidden from the outside world. Many abusive parents and caretakers are skilled at concealing the evidence of what they are doing. In addition, many people simply do not feel comfortable discussing or thinking about the topic. This allows the problem to persist uncontrolled. 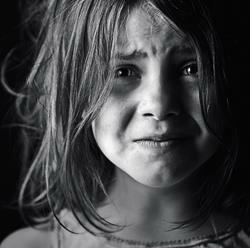 Every day, 2,450 children are found to be victims of abuse or neglect. 4 children are killed by abuse or neglect every day. Children of all social classes and ethnicities have suffered abuse. The Section on Child Abuse and Neglect (SOCAN) and the Committee on Child Abuse and Neglect (COCAN), founded by the American Academy of Pediatrics (AAP), are dedicated to improvements in both the recognition of and treatment of child abuse. Both criminal and civil actions may be brought against the perpetrator of child abuse. A civil action is generally (and advisably) brought after a criminal prosecution has been completed. If the alleged abuser has been convicted of abuse in a criminal trial, the doctrine of collateral estoppel may, under some circumstances, bar the defendant from retrying the issue of liability in the civil action. The doctrine of collateral estoppel may apply when a criminal conviction is based on facts identical to the facts on which a civil case is based. Your attorney will be able to determine whether this somewhat complicated doctrine applies in your particular case. Even if a criminal trial against an alleged child abuser does not result in a conviction, a plaintiff may still bring and win a civil claim for the abuse. Criminal convictions require proof beyond a reasonable doubt, while civil actions require proof only by a preponderance of the evidence. If the prosecutor in a criminal trial failed to convince the trier of fact (the judge or jury) that no reasonable doubt existed as to the defendant’s guilt, a plaintiff may nevertheless be able to show that it was more likely than not (the definition of a preponderance of the evidence) that the defendant committed the child abuse alleged in a civil trial. A civil action for injuries suffered by a child as a result of child abuse may be brought on behalf of the child by the child’s parents or other legal guardian to recover damages suffered by the child as a result of the defendant’s conduct. In addition, the parents or legal guardians of a child victim of abuse may bring a separate claim to recover damages suffered by the parents or legal guardian as a result of the defendant’s abuse of the child. Though the law varies somewhat from state to state and often derives from statutory as well as case law, plaintiffs in civil suits brought against alleged child abusers are generally brought as actions for civil assault and battery and/or intentional or negligent infliction of emotional distress and seek damages for the physical and emotional injuries suffered by the child and for the emotional injuries suffered by the child’s parents or other legal guardians. The statute of limitations of most states requires that a civil action for child abuse be brought within a certain time after the abuse occurred. Most states provide for a tolling of the limitation period, however, which means that the time period during which an action must be brought does not begin to run until the child reaches the age of majority. If a child was abused at the age of two and the state’s statute of limitations required that the suit be brought, for example, within two years of the occurrence of the abuse, the parents or legal guardians, or even the child him or herself, may commence the action within two years of the time the child reached the age of majority. If your child has been the victim of child abuse, contact child-abuse attorney Jeffrey Killino at 877-875-2927 for compassionate and experienced assistance with your civil case.